Travel stress free from anywhere in Madrid, including Adolfo Suarez Madrid-Barajas Airport, to Segovia's downtown in an elegant Mercedes-Benz. With flexible pick-up, you will be safely transported to your destination, and as you travel, your English-speaking driver is more than happy to answer any questions you may have about the city. 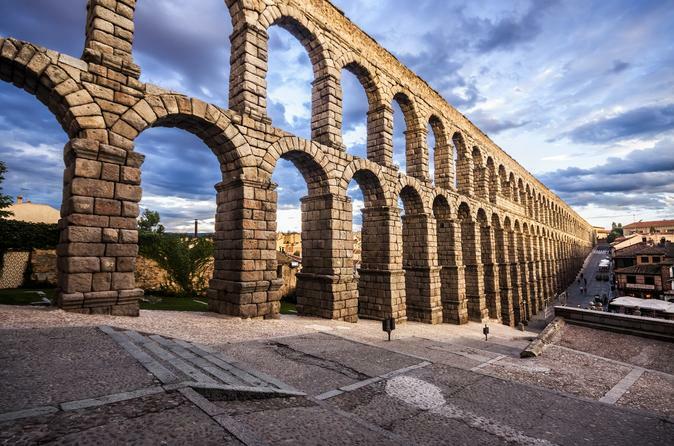 This private transfer from Madrid to Segovia is quick, safe and easy. At the time of booking, please provide your pick-up and drop-off details, as well as your mobile number. As part of your confirmation, you'll receive our 24/7 number, should you have any questions.